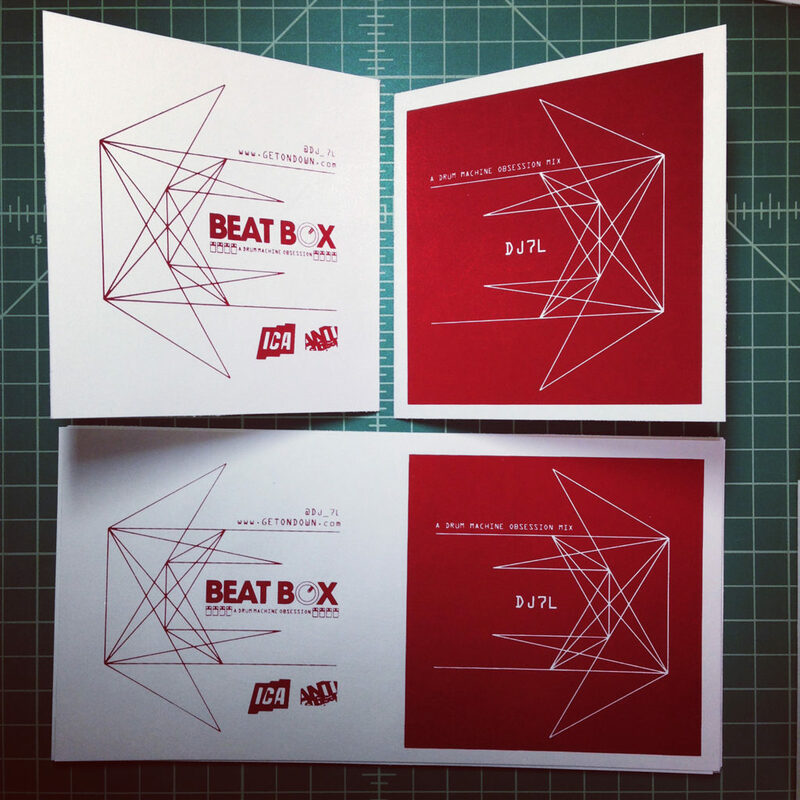 In addition to live screen printing at the book launch for Beat Box, we also had the opportunity to do some print design for a mixtape that our friend DJ7L created for a 2nd event at the ICA. The design constraints were a nice nudge in the way of creating the imagery. 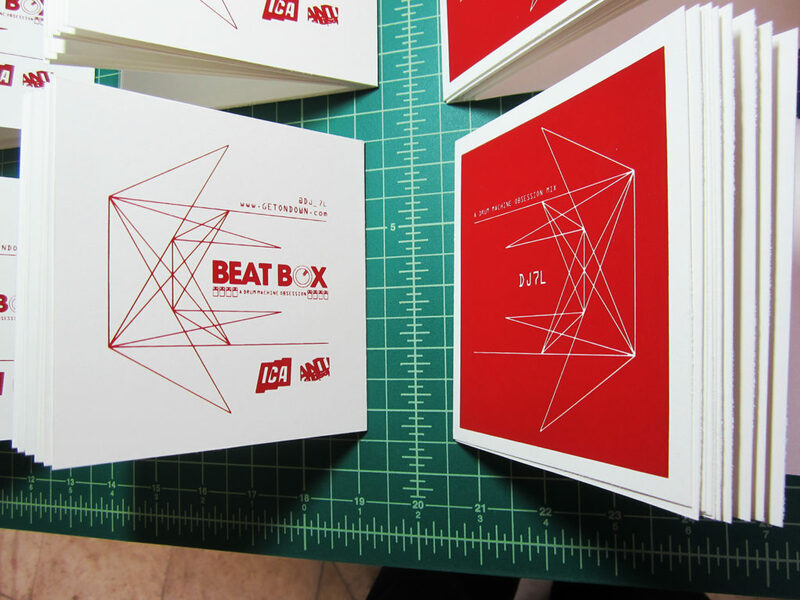 The entire Beat Box book was designed using fonts that you would see on a drum machine. I wanted mixtape design to have a similar feel. 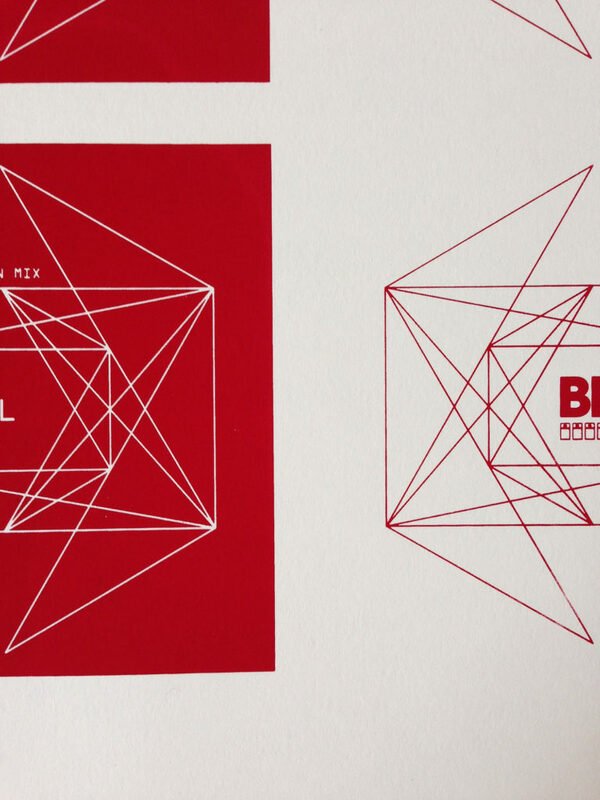 I had been doing some experiments with sacred geometry in Illustrator just before this project began. The main linework/image is an abstracted version of what I was working with there. 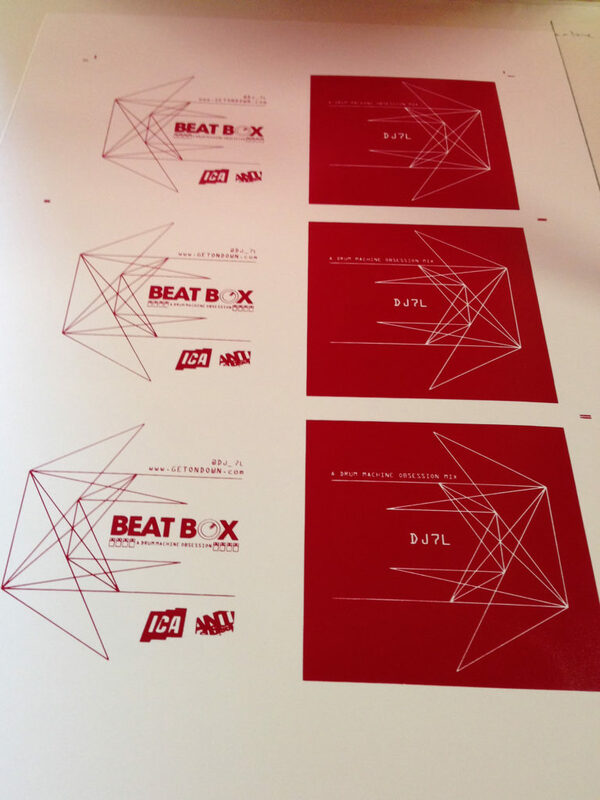 The print production was fairly straight-forward. I setup as many prints as I could on the parent sheet size and ran off as many as I needed. 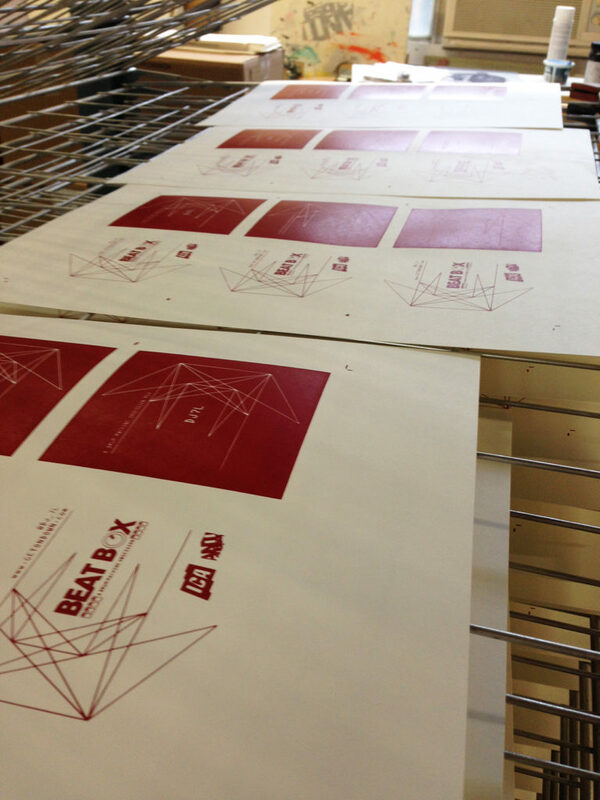 The parent sheets were run through my trimmer, down to the final pre-fold size. Then I had to score and fold each card so that the CD would fit inside. That last step was pain staking but the results were worth it. 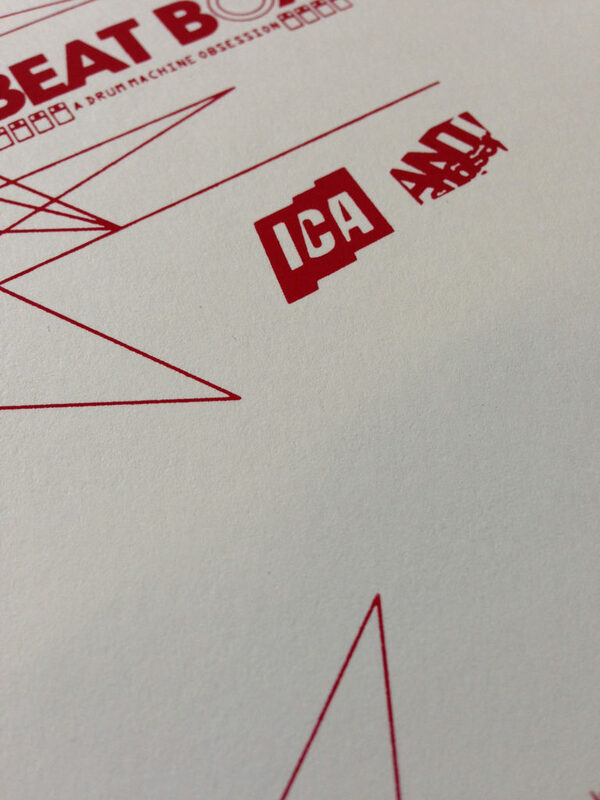 If you’re looking for some print design head over to our contact page or our poster printing page and let us know what you’re looking for.